ANY SUGGESTIONS FOR STUFF TO GO IN THE OP? POST IN THE THREAD OR DROP ME A PM! Last edited by masa on Sun Mar 26, 2017 12:02 am, edited 31 times in total. Last edited by 3try on Mon Oct 27, 2014 12:37 pm, edited 1 time in total. Elfen Lied - Very sad, short anime about a girl with special powers and amnesia. Higurashi no Naku Koro Ni - An odd anime about a village that seems to be cursed. Based on the visual novel of the same name, each arc resets the anime from the start, but has a different plot. Gintama - Hilarious anime about a dead beat samurai living in an age of aliens. The concept here is that instead of America opening up Japan, aliens did. The show focuses on Gin and his crew who do odd jobs for people. While it is primarily a comedy anime, it also has some deep arcs more focused on fighting and other things. It's a shonen anime. Lighthearted and overall a great anime. Beelzebub - Now finished, a manga that focuses on a delinquent teen that finds a demon baby and is forced to look after him until he is old enough to conquer Earth. Action with bits of comedy, a shonen manga. Gintama - Same as the show, but not as funny due to the lack of physical comedy. Shingeki no Kyojin - AKA Attack on Titan, it starts off great but has been dragging a little as of late. I'm so far behind on this year's anime it's unbelievable. Only thing I've really watched in the past few months was Madoka, which I now begrudgingly admit was a great show and I may have been slightly harsh and wrong about it before. Slightly. 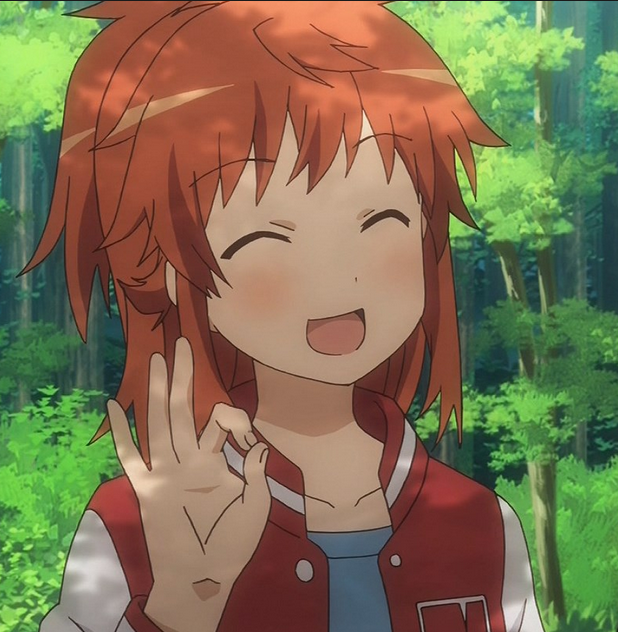 If you want anime recommendations off me go watch Pyscho-Pass, Ghost in the Shell and Ergo Proxy which are totally not the same thing. Recently got into the fate series, watched Zero on netflix and now I'm keeping up with Stay. I love it, can't believe I didn't watch it sooner. Watched Evangelion last month. End of Eva DESTROYED ME. Need to watch the Rebuild movies asap. I've barely watched anything new in ages. There's a long list of stuff I want to watch it's more getting in the mood to start something. Wolfs Children and Attack on Titan are the only new things I've watched this year and AoT was released last year I just didnt get round to watching it then. Dunno when Wolfs Children was available. Though I'm keeping up with "the big 3" in terms of manga but One Piece is the only one I care about. There's definitely a place for stupid, trope ridden, billion episode series' like Naruto. Alongside DBZ it's the best at what it does and it has some really cool eton mess in it. Just so long as you skip all the filler. Gum wrote: There's definitely a place for stupid, trope ridden, billion episode series' like Naruto. Alongside DBZ it's the best at what it does and it has some really cool eton mess in it. Just so long as you skip all the filler. It's really good, there are a load of episodes though but luckily it doesn't exactly follow a plot so for the most part each episode is a standalone. It is also possibly the biggest anime for references and breaking the fourth wall, having referenced tons of other anime such as Gurren Laggan, DBZ, Death Note, even going as far to doing a cross over episode with Sket Dance and a reference to Will Smith and Obama. The voice acting is priceless, as are the facial expressions, and the anime breaks the fourth wall single handedly the most out of any other anime. I thought Gintama was boring and likely because I am not Japanese. Watch something from my list, they're all winners. There's always the movie which you can watch which should get you into the characters and general feel of the anime. It's not a super long movie, and personally it has some awesome fight scenes plot and jokes in it. 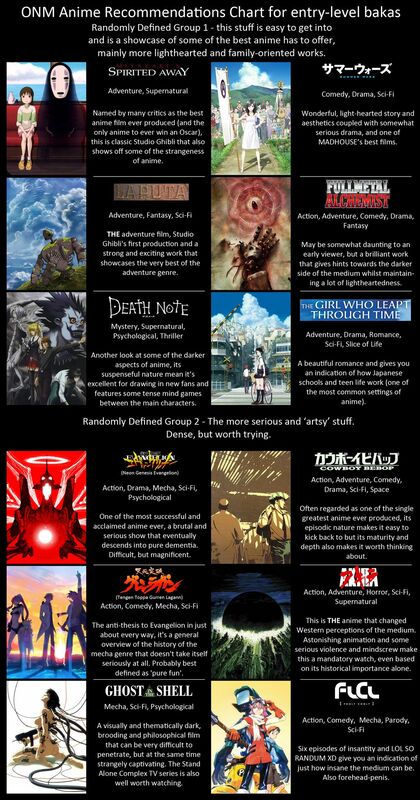 EDIT: If you're looking for something serious to watch I'd go with Elfen Lied (12 episodes, very short) and for a really creepy and awesome anime Higurashi is great. Death Note and Attack on Titan are very popular so you've probably seen them, but if you haven't I'd definitely give them a watch. Gurran Laggan is also an awesome anime with giant fighting robot mechs. Casshern Sins or Kids On The Slope. gooseberry fool these run of the mill anime suggestions, Casshern Sins and Kids On The Slope are amazing and nobody ever talks about them. Just watched the end of the Sabaody Archipelago arc in One Piece. I'm speechless. One of my guilty pleasures is actually Polar Bear Cafe. It's actually not that bad and very lighthearted. I also loved Yu-Gi-Oh GX, not the traditional suggestion but honestly it's an anime I really enjoyed. Oh, and I'm re watching the first 2 seasons of Digimon in anticipation of the recently announced season 3. Only current thing I have any interest in keeping up with is Onepunch-Man. Everything else is redundant.